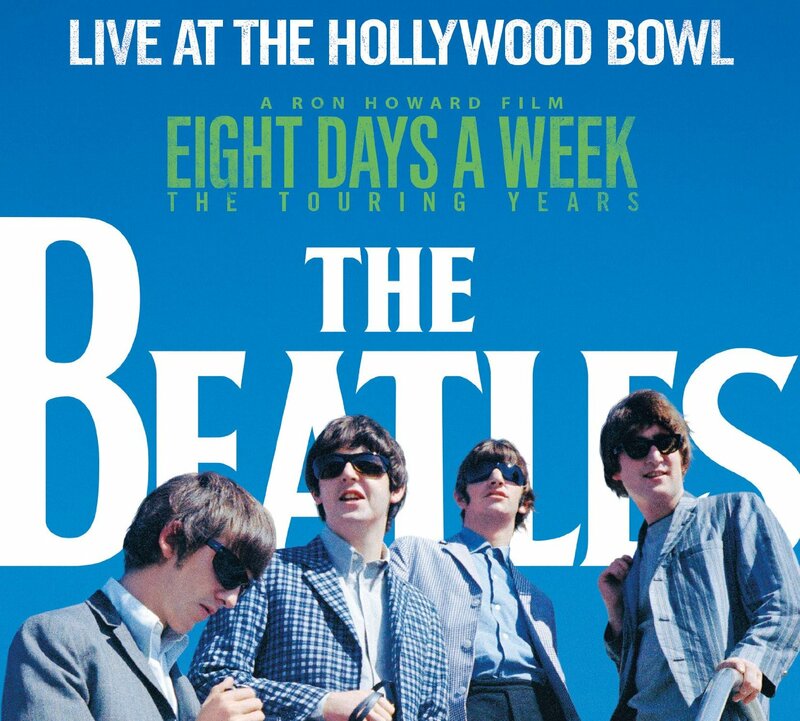 Looks like the Beatles At the Hollywood Bowl is to be re-issued as part of the release program surrounding the new Ron Howard film Eight Days A Week: The Touring Years, due out in September. One change from the original is the title. It becomes Live at the Hollywood Bowl, and rumour has it that there will be four additional tracks included, though it’s not clear exactly what these will be. Two of the songs will most likely be ‘Baby’s in Black’, which has previously been issued as the b-side of the 1996 ‘Real Love’ single, and ‘I Want to Hold Your Hand’, part of which appears in Love, the Cirque du Soleil Beatles stage production and which appears on the 2006 Love album. The US Amazon site has the CD only (so far) listed for pre-order, saying the release date is September 9. No images of the packaging are available yet. This will be the first time this album has been officially issued on CD. UPDATE: Amazon have now added an image. If this is the actual item it is disappointing. While this artwork works as a movie poster, it’s not a classic Beatle album cover by any means. They’ve also added info about a vinyl release too. It’s due on November 18. Looking at the cover it seems to indicate that a Hollywood Bowl reissue may be the only release that will be associated with the new film, which is also disappointing if that’s the case. We await further news. 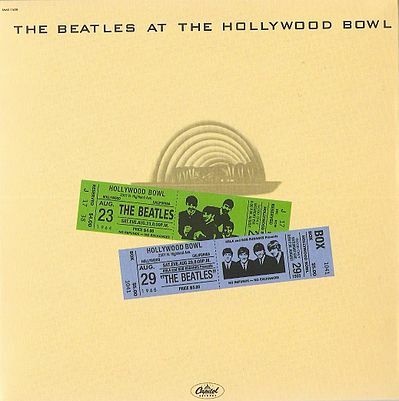 This entry was posted in Beatles, Beatles Collecting, Beatles Music and tagged Beatles, Beatles Collecting, Eight Days A Week, Live at the Hollywood Bowl, Music by beatlesblogger. Bookmark the permalink. I have a ‘made in Belgium’ pressing of this record. Very strange. Excellent got this on tape in the early 90s! Looking forward to hearing it again!